In the winter there is snowmobiling in the Canadian Rockies. 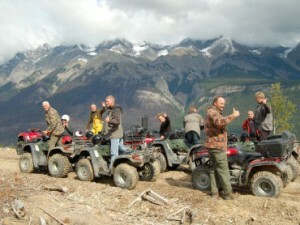 In the summer there is all-terrain vehicle (ATV) tours in the Canadian Rockies. While you can’t ride ATVs in Banff National Park, there are plenty of beautiful places nearby in the Canadian Rockies where you can. 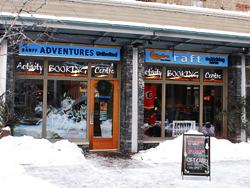 We can recommend you arrange your ATV adventure with Banff Travel; its tours are fully guided and there are variety of trails to suit all ages and abilities. You can choose to be a driver or passenger on a full day or half day tour. 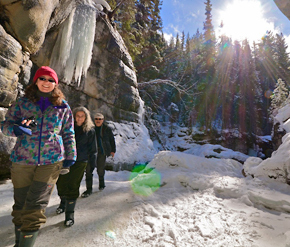 Visit the remnants of an early 1900’s Silver Mine located on top of a mountain at 8,000 feet See wildlife, wildflowers and pristine waterfalls. Tour includes ATV gear, snack and ample photo opportunities of the spectacular scenery. The Paradise Ridge tour starts at the historic Mine Base and head 4,200 feet to the top of the mountain ridge. 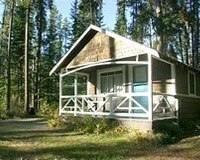 The tour includes a visit to two historic 1800’s mining settlements with Beaver Ponds, Trapper’s Cabin and high alpine adventure. See two spectacular mountain valleys and ride right to the mountain top at 9,000 feet. 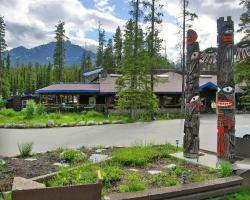 Enjoy the mountain peaks and meadows whilst viewing Elk, Deer, Moose and Bears in their natural habitat. Binoculars and spotting scope are included on this trip. 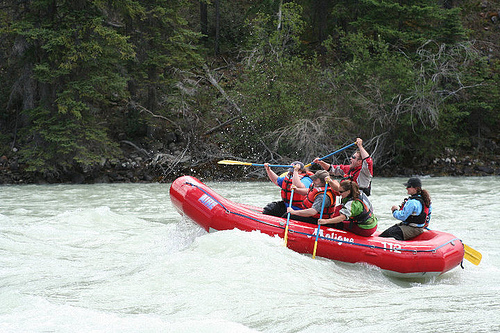 Located on the boundary of Yoho National Park, Canada’s second National Park, you will explore the oldest mountains in the Canadian Rockies, cross the thrilling Kicking Horse River, and experience the breathtaking Wapta Falls. All new 4X4 All – Terrain Vehicles (ATV’s) are easily mastered by all riders and provide a smooth safe ride.